Scotsman ice maker and water filters assist in the ice machine sanitation battle. Scotsmanâ€™s ice filtration products are a common-sense multi-method approach to defending your ice machine against potentially harmful microbes, bacteria, mold and algae. Itâ€™s critical that you provide the best possible water conditions for optimal ice machine sanitation while also ensuring refreshing, clear tasting and odor-free ice cubes. WIth the help of a Scotsman system, you can do just that. Discount FIlter Store Carries Scotsman Ice Machine Replacement Water Filters. 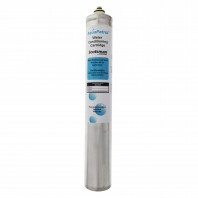 Alternatively, we also carry comparable food service replacement filters by Tier1 that could save you considerable money while maintaining quality. If you need help finding a replacement filter for your ice machine, contact us or call 1-800-277-3458.